By Praia Grande City Hall. 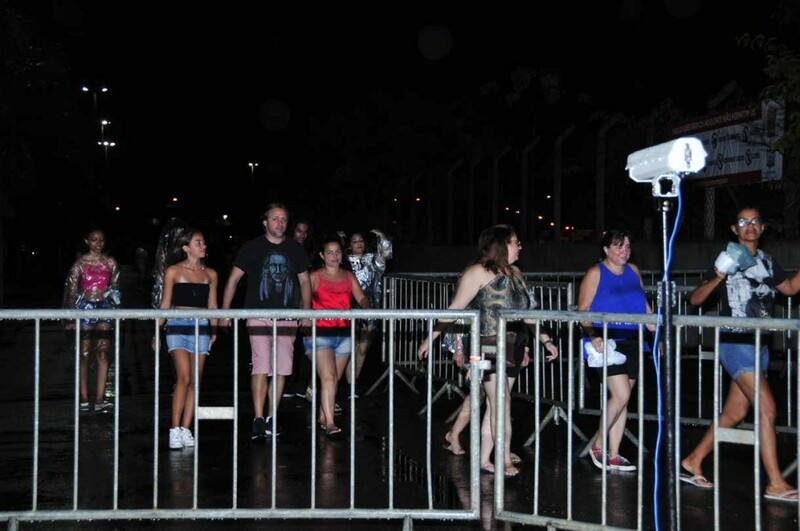 To ensure even more security and tranquility to the crowd which has attended the ‘Summer Season Show’ (free translation of ‘Estação Verão Show’), which takes place at the City’s Kart Track, a modern security system was deployed right at the site’s entrance. Thanks to a face recognition software, everyone going through the entrance to the event area has their images captured and they may be identified in the event of any eventuality. The system had been tested since the first presentations and it was fully deployed last weekend, with it being an additional tool in the event’s security scheme. 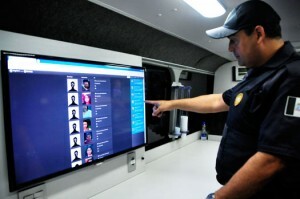 According to the chief inspector of the Department of Planning and Technology of the Bureau of Security Affairs (Seasp), Marco Alves dos Santos, cameras capture images that are simultaneously transmitted to a mobile base that has been installed at the site and also to the Integrated Control and Special Operations Centre (Cicoe), which is located at City Hall. “This way, we can identify anyone who is in a database, such as the one from the Civil Police, and we can also create our own database. If someone gets involved in some sort of trouble, for example, next time he passes through the system, he will be immediately identified”. The inspector explained that the images are stored and can be used in other situations of public interest. This software was recently acquired by the Municipal Administration and the objective is to soon have its use expanded in the City, including for the identification of criminal suspects and those fugitives from justice. Praia Grande/SP invests heavily in technology in the area of Public Security, having altogether 2,136 cameras installed in strategic places. Another example of the amount of technology in this area is the so-called “electronic fencing”, which can identify any vehicle entering the City, thus contributing significantly to the reduction of theft, including that of vehicles. The software provides technological solutions for the areas of digital intelligence, corporate surveillance, and urban security. It has approximately 25 thousand customers worldwide and about 450 manufacturers with more than 10 thousand integrated camera models. Presently, its platform is continuously developed in Brazil, commercialized in over 130 countries, and translated into several languages, making the software one of the best in international market evaluations. It has own offices and representatives in Brazil, The United States, Hong Kong, England, Australia, New Zealand, Argentina, Colombia, Mexico, United Arabic Emirates, France, Thailand, India and Singapore. More information is published at www.digifort.com.br.